Let's start off by distinguishing an ungrounded outlet from a grounded outlet. The ungrounded outlets are easily distinguishable by their two slot configuration verses the newer grounded type of outlets that have the two slots with a hole (ground socket) centered under the slots. For this particular article, I will refer to these outlets as UNGROUNDED outlets and GROUNDED outlets. Older wiring never contained a ground wire so any ungrounded outlets in your home were originally wired in this manner and are considered acceptable, but they do have their safety issues. Many ungrounded outlets have been installed in the older homes, but as the years went by the electrical standards have changed and are absolutely required in newer homes. While it is not usually required to upgrade ungrounded outlets in your home today, it is still a good idea because a properly wired home is a much safer home for you and your family. The problems for owners of older homes start when two wire ungrounded outlets are removed and substituted with the grounded type outlets without the necessary rewiring that will add a ground wire to the newly installed grounded type outlet. People tend to replace 2 wire ungrounded outlets with ungrounded type outlets in order to establish a more convenient outlet for their three prong appliances. Most of today’s appliance cords contain a three prong plug and it becomes a nuisance when homeowners (of ungrounded electrical systems) are attempting to locate three socket outlets for the grounded plugs. So they replace the two slotted ungrounded outlet with a grounded type outlet and it now becomes much more convenient for them to utilize these outlets in their home. But...these upgraded outlets are still not grounded without upgrading the entire branch wire that feeds the outlet. 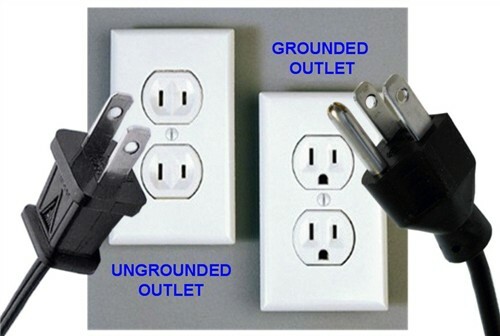 Grounded type outlets are not suppose to be substituted for ungrounded outlets unless a new grounded wire is installed to this outlet. This will require a licensed Electrician to install the new wire from the load center to these grounded type outlets. An exception to this rule is allowed by the National Electrical Code, when the outlet is protected by a Ground Fault Circuit Interrupter (GFCI). THIS BRINGS US TO... CHEAP FIXES OR UPGRADES. There are cheap fixes available for those home owners who do not want to rewire their entire house. Perhaps one of the cheapest and simplest ways to address this issue is by utilizing a GFCI (also known as a Ground Fault Circuit interrupter). These can be installed in one of two locations. A GFCI outlet can take the place of a standard ungrounded outlet in any location and it now becomes a much safer outlet. Another option would be a GFCI breaker (at the load center) which takes the place of the regular circuit breaker. The N.E.C. (National Electrical Code) does allow GFCI's to replace two wire ungrounded outlets, but this might not be the greatest idea only because the round grounding socket on a GFCI outlet might give someone the false impression that the outlet has a grounding wire. So it’s best to have these particular outlets clearly marked as “NO EQUIPMENT GROUND”. A GFCI replacement at an ungrounded outlet is a good choice for many expensive hard to re-wire cases. Instead of having an Electrician running newer wires to newer outlets, you will rely on the GFCI function to provide the personal protection at a much more convenient outlet. It is not the same as having a grounded outlet, but for most instances it is much safer. A GFCI outlet will trip (shut down) when there is a difference in the amount of current flowing through the neutral side of the electrical wiring. So, if a ground fault did occur, and some of the current starts to travel into the casing (toward you), a functional GFCI will automatically trip and stop all current flow, avoiding an electrical shock. The one instance where a GFCI upgrade should not be used is where equipment utilizes a surge protector (like your computer's surge protector if you have one). Surge protectors use the ground wire to redirect any surge until it can trip. If a surge protector is plugged into an ungrounded outlet it will not operate as the manufacturer intended. When a large surge or spike does hit, the surge protector needs the ground wire to take the "hit" away from the protected equipment and send it safely to the ground wire which is connected to the load side. If the surge or spike is not sent to a ground wire by the surge protector it will destroy the delicate electronics that you were trying to protect. The surge protector manufacturer's do offer warranties, but...it's only valid if the surge protector is used in a properly grounded outlet. SAFETY COMES FIRST... If you feel totally confident in replacing the ungrounded outlets yourself, I will explain how you can do this project properly without hiring a licensed Electrician. 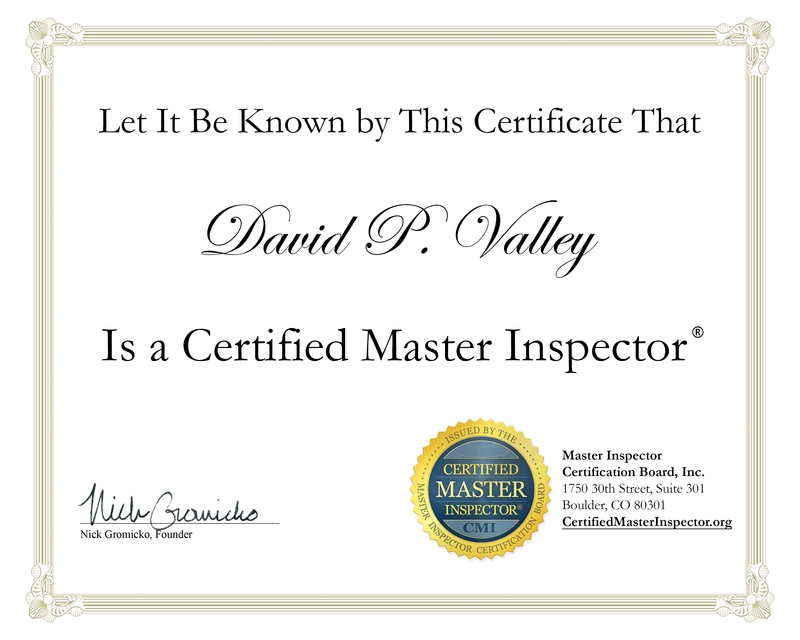 But, if electricity and it's components are projects that you'd rather not touch or if there are numerous outlets that need upgrading, I'd highly recommend you hire a licensed Electrician to perform this upgrade for you. Before starting, make sure the breaker (power) to this ungrounded outlet is shut down. Do not assume that the markings on your service panel are correct. Double-check that the power is shut down by plugging in a small appliance and turning it on. Once the power is off at this circuit, start by removing the screws from the outlet cover. Then remove the two screws at the outlet itself. Now pull the outlet out of the box and unscrew or release the two wires from the outlet. You can throw away this old outlet and the cover. The old two prong outlet cover will not adapt to the new GFCI outlet as it is shaped differently. Now take this opportunity to clean up the receptacle box with your shop vacuum before re-installing the GFCI outlet. Also, tape up any frayed or nicked wires with electrical tape (if the wires are badly deteriorated, you may have to trim them back or replace them with new wire). Now confirm that you have enough room in the box for the new GFCI by gently pushing the wires back in the box and test fitting the new GFCI. If the GFCI won't fit because there are too many wires in the box, you would have to have an Electrician install a new, larger electrical box. Start the GFCI install by using needle nose pliers to bend the ends of the two existing wires into a u-shape, so they can fit snugly under each outlet screw. Now attach the black wire behind the head of the brass/gold screw and tighten it up, then attach the white wire behind the head of the silver screw and tighten this screw. (Remember, there is no ground wire at this location, so the green grounding screw on the GFCI outlet will be left blank). Now gently fold back the wires into the electrical box while pushing the GFCI outlet inside to sit flush against the box. You can now install the top and bottom screws to the outlet. You should not have to force this outlet in. If you find yourself forcing the outlet to fit, then gently pull it out again and reorganize the wires and try it again. If you’re still forcing wires inside the box, then you need to cut the wires shorter. Forcing an outlet may damage the wires and can pull them away from their outlet connections. Once you have the GFCI properly seated and screwed in, you can now screw the new GFCI outlet cover in place. Now the breaker to this circuit can be placed in the “On” position. 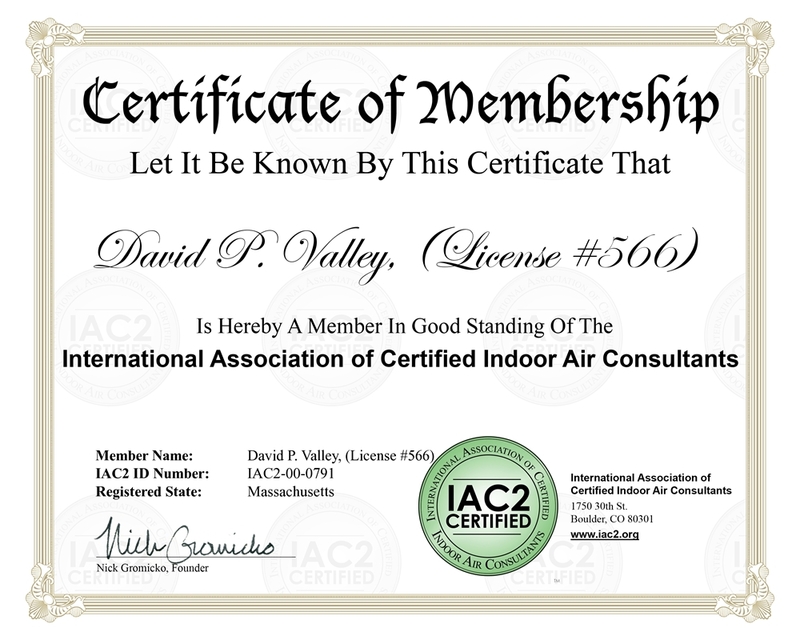 You should now have a GFCI protected outlet that is SAFER but not grounded. REMEMBER: This outlet should always be labeled "NO EQUIPMENT GROUND" since the ground connection is left unconnected. HINT: If you're goal is to protect every ungrounded outlet in the home with a GFCI outlet, it's not necessary to utilize a GFCI outlet in every single location. You can install ungrounded type outlets instead of GFCI outlets ONLY if they are wired through the LOAD side of a GFCI outlet. Still, no ground wire exists, so these outlets should be clearly labeled "GFCI PROTECTED, NO EQUIPMENT GROUND"
HINT: In many older homes the outlet mounting box was grounded from the load center but the outlet itself was not grounded. If this is the case it is possible to use a jumper between the mounting box and the grounding screw on the new grounded type outlet. But this type of ground may not be adequate for a surge protector.